Somebody, somewhere, not long ago, spit their watermelon seeds off their porch at Cabin 2, and look! We have a rather robust wild watermelon vine growing like gangbusters. I’m hoping nobody picks this little guy! 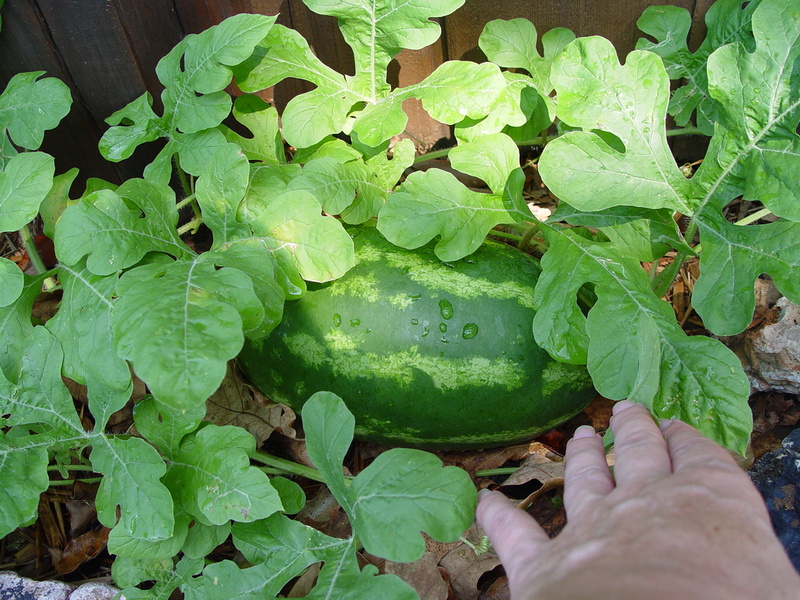 It’s about the size of a Nerf football, and there are a few round little baby watermelons hiding out in the vine, too. This entry was posted on Thursday, August 12th, 2010 at 1:33 am and is filed under Natural Wonders, Uncategorized, Zortman Family Happenings. You can follow any responses to this entry through the RSS 2.0 feed. You can leave a response, or trackback from your own site.